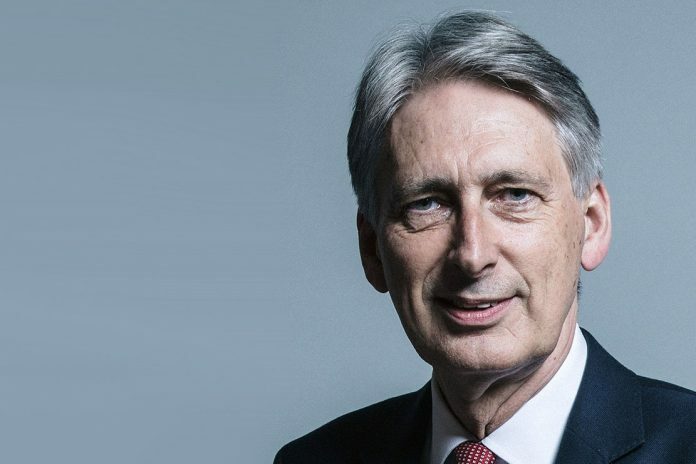 FSB is calling on the Chancellor Philip Hammond to make good on his claim that “the Conservative Party is, and always will be, the party of business” in its Autumn Budget submission published today (12 October). With the retail sector under increasing pressure, FSB is urging the Treasury to halt the annual inflation-linked increase in business rates bills set to take effect from April 2019. Other recommendations for rates reform include removal of an anomaly which causes small firms to lose Small Business Rate Relief (SBRR) if they expand into a second premises, even if both locations are modest in size. FSB is also calling for targeted support for struggling high street firms, recommending a £1,000 business rates discount for small shops, cafes and pubs. The Coalition Government provided a similar allowance for retail premises in 2013. Other suggested measures for reinvigorating high streets centre on increased investment in local roads and universal access to 4G broadband. Following an immediate climb-down from a bid to increase Class IV National Insurance Contributions (NICs) for the self-employed last year – and the abandonment of a pledge to end Class II NICs earlier this year – FSB is urging the Chancellor to deliver meaningful support for sole traders on 29 October. Key asks include the introduction of a statutory Adoption Allowance for the self-employed, as well as an extension to the Start-Up Period and reforms to the Minimum Income Floor for sole traders who claim Universal Credit. The three measures would collectively cost the Treasury an estimated £405 million a year. In addition, FSB is calling for continuation of the New Enterprise Allowance, improved access to income protection insurance for the self-employed and a widening of tax relief on training for sole traders. As things stand, the self-employed can only claim tax relief on training to increase existing skill sets, rather than develop new ones. FSB also raises concerns about the potential extension of IR35 public sector rule changes to the private sphere, warning that it is impossible to accurately predict the impact of this move. The FSB Small Business Index (SBI) confidence measure fell to -1.7 across the UK in Q3, with the self-employed (-18.4) and retailers (-42) reporting especially low readings. FSB Development Manager Michael Watkinson said : “For small business owners, this Budget is the Chancellor’s make or break moment. “Warm words from the Government are welcome, but they need to translate into action. With our small retailers trying to keep their heads above water – and the self-employed community left demoralised by the failure to end Class II NICs – this is the Chancellor’s opportunity to show he really does back business. FSB’s Budget submission highlights the increased cost of doing business for small firms, especially where employment, fuel and utilities are concerned. With small firms already reporting that the introduction of Making Tax Digital (MTD) will increase compliance costs, FSB is calling on the Chancellor to steer clear of any fresh tax grabs later this month. In particular, FSB highlights the need to maintain the current Dividend Allowance and VAT registration thresholds, while calling for an end to further increases to the Insurance Premium Tax (IPT). IPT has risen from 6% to 12% over the past three years. Amid pressing skills shortages, FSB is urging the Government to deliver on its pledge to introduce a National Insurance Holiday for small firms that hire those furthest from the labour market. Michael Watkinson added: “The Prime Minister’s announcement of a continued fuel duty freeze will be hugely welcomed by the millions of small businesses that rely on cars, vans and trucks to get work done. So too will the Business Secretary’s moves to end a UK late payment crisis that destroys 50,000 small firms a year. “We want to see the Chancellor continuing in that vein – reducing the cost burdens for small businesses and recommitting to ending the scourge of poor payment practice.